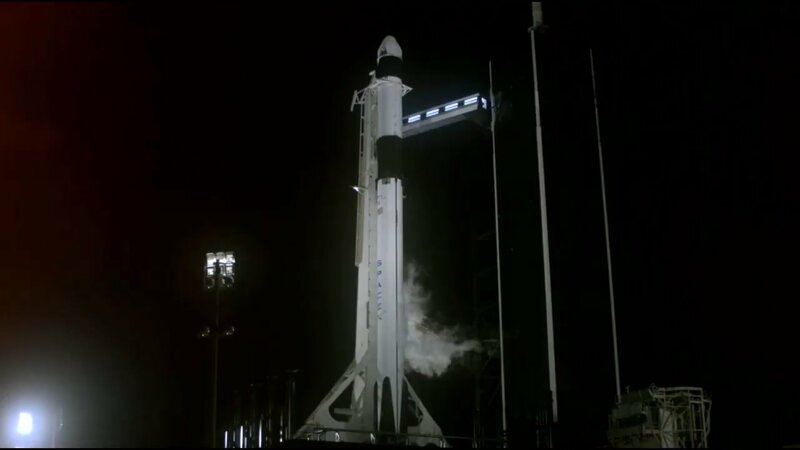 Below are videos and images of the launch early this morning of the SpaceX Falcon 9 with the Crew Dragon for the Demonstration 1 mission (DM-1). (Will add more videos as they become available). The first stage landed successfully on a platform in the Atlantic. The Dragon is scheduled to dock with the ISS at around 6 am EST Sunday, Feb.3rd. Watch the rendezvous and docking live starting at 3:30 am EST (0830 UTC) on the SpaceX Webcast page. 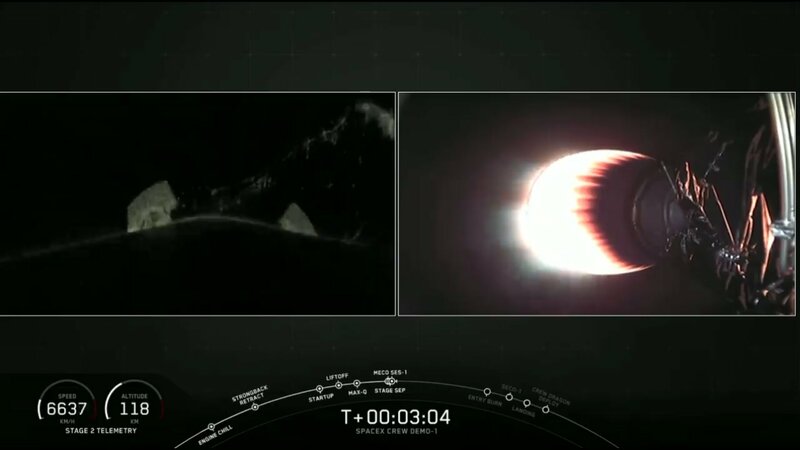 Just after the first stage (left) and second stage (right) separated and the second stage engine began firing. Test dummy Riley in the Dragon interior. The Falcon 9 and the Crew Dragon on the pad before the launch. View of pad about 5 minutes before scheduled liftoff. It may not look like mountain climbing has much to do with being an astronaut, even though both involve great heights and special equipment. But NASA’s Christina Koch says the concentration and control she learned in climbing helped her prepare to be an astronaut and to make the climb to space for her first mission to the International Space Station. ** The SpaceIL lunar lander resumes its engine firings after a computer problem earlier this week caused a firing to be canceled: Beresheet Overcomes Early Glitches, Continues Journey to the Moon | The Planetary Society. To provide that, Virgin Galactic needs to churn out more space planes. The shop floor at one of Spaceship Co.’s Mojave hangars was buzzing on a recent weekday, with teams of people working on aspects of the next two SpaceShipTwo space planes. **** The first test flight of the Crew Dragon on a Falcon 9 rocket is set to lift off early Saturday morning at 2:49 am EST (0749:03 GMT) from famous Pad 39A at Cape Kennedy. This first demonstration mission (DM-1) of NASA’s Commercial Crew Program will have no astronauts on board but will otherwise carry out all the tasks involved in sending a crew to the International Space Station and bringing them back for a water landing in the Atlantic Ocean off the coast of Florida. Falcon 9 with Crew Dragon on Pad 39A on Feb. 28, 2019. At 4 pm EST today (Feb.28.2019), there will be a pre-launch briefing, which will be webcast on NASA TV. The launch can also be watched on NASA TV and on the SpaceX Webcast page. Rocket Lab is expected to announce soon the target date for the next launch of an Electron. Pad preparations and launch rehearsals have been underway the past month. For the latest news, see Peter Beck (@Peter_J_Beck) | Twitter and Rocket Lab (@RocketLab) | Twitter. This week we bring on Dr. Tamitha Skov to talk about Space Weather and it’s impact on your daily life. We also go over how she got started and her journey to becoming the Space Weather Woman. The Opportunity rover casts a long shadow. ** EXOS Aerospace sets March 2 for the second flight of the SARGE reusable suborbital rocket. The launch will take place at Spaceport America in New Mexico: Launch Announcement: 03/02/2019 | EXOS Aerospace Systems & Technologies, inc.
“With a successful flight we will leave the testing phase, and focus on the engineering of our Jaguar reusable (first stage) LEO launcher” said John Quinn, EXOS COO. “We look forward to supporting space research, manufacturing, and educational opportunities for the world by providing frequent suborbital flights that provide fast and affordable access to space. Since the 36-foot tall 20-inch diameter SARGE rocket is designed for reusability, it is proving to be an excellent risk mitigation platform for our orbital technology development program. The software and technology we have developed is key to development of the reusable first stage of our planned Jaguar vehicle”. SARGE and Jaguar will use NASA’s Morpheus flight code (acquired through a Space Act Agreement) that was modified by a team of Engineers from Exos Aerospace, Intuitive Machine, C-Squared Systems, Helios and XISP Inc.
** China: The number of Chinese entrepreneurial companies involved in space transport reaches around ten according to these estimates: China’s NewSpace: Mapping of its 60+ Start-ups – The China Aerospace Blog. ** Arianespace prepares a Soyuz rocket for launch for tomorrow, Feb. 26th, at 4:37 p.m. EST (2137 GMT). The rocket will carry the first 6 satellites of the OneWeb broadband constellation, which will eventually comprise 900 satellites (the system becomes operational globally with 600). The recent hot firing of a full-scale rocket thrust chamber assembly takes us a step closer to proving 3D-printing for an engine design destined for rocket upper stages, in-orbit transportation applications (kick-stages and space-tugs), microlaunchers, and exploration spacecraft such as a lunar lander and ascent stage on the Moon. ** Raptor Aerospace Ltd is a UK-based company that provides suborbital sounding rocket flight services. Bezos definitely expects to start flying people in the New Shepard this year. New Shepard flies to 100 kilometers, not to orbit, but provides a great way to test the BE-3 hydrogen-fueled rocket engine and other technologies that will be needed for the New Glenn orbital system. He believes suborbital spaceflight participants should fly to at least 100 kilometers to be considered fully legitimate space travelers. This is a dig at Virgin Galactic, whose SpaceShipTwo appears to max out at around 90 kilometers. He sees large in-space habitats as the best way for humans to create an off-earth civilization rather than living on the Moon or Mars. **** DM-1 countdown proceeds – The first Crew Dragon demonstration mission (DM-1) to the ISS is set for early Saturday morning, March 2nd at Cape Kennedy. Liftoff has an 1 second launch window at 2:49:03 am EST local time (0749:03 GMT). There will be no crew on this flight but the vehicle will otherwise carry out a mission identical to that of a crew flight. This includes automated docking with the station rather than the berthing procedure used for the Cargo Dragons, which involves a station’s robotic arm grabbing the Dragon and bringing it up to the hatch for connection. The Crew Dragon will instead directly move with its own thrusters up to the docking mechanism and attach to it. **** The landing platform “Of Course I Still Love Your” (OCISLY) departed Port Canaveral this morning and will head for the target location for the landing of the DM-1 booster. OCISLY had just a two day turnaround time after returning with the Falcon 9 booster from last week’s launch of an Indonesian comm-sat and the SpaceIL Beresheet lunar lander: Scorched SpaceX rocket returns to port in Florida, ready to launch a fourth time – Spaceflight Now. See SpaceXFleet Updates (@SpaceXFleet) | Twitter for the latest on OCISLY and the company’s other sea-going assets. This booster made its third flight last week and will make a fourth flight this spring for an in-flight abort test of a Crew Dragon. **** Elon Musk comments on various aspects of spaceflight and the challenges of establishing a Martian base: Elon Musk Interview | SpaceX Mars Base – Popular Mechanics. I think Starship will also be good for creating a base on the moon. We’ll probably have a base on the moon before going to Mars. 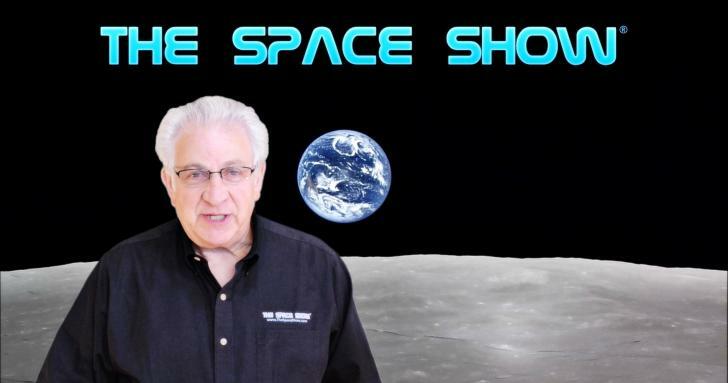 ** The Space Show – Sun, 02/24/2019 – Linda Plush, Executive Director of the Space Nursing Society, discussed human spaceflight medical challenges. 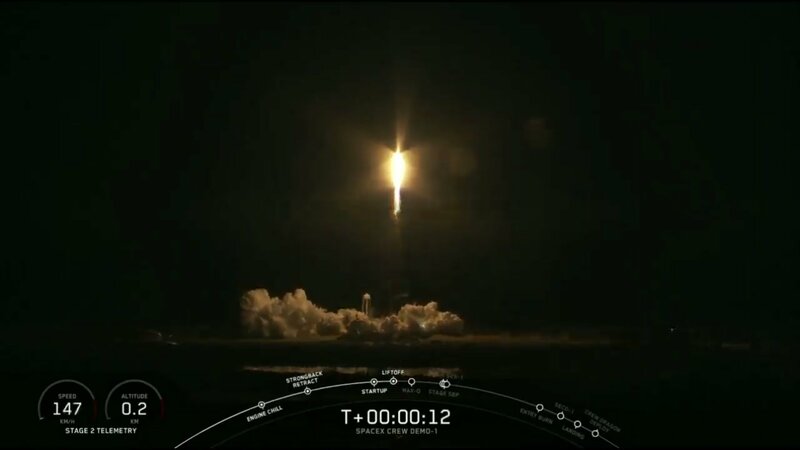 ** Episode T+111: SpaceX, the Established Launch Provider – Main Engine Cut Off – “A tale of politics, protests, and contracts tells the story of how SpaceX is in transition—and maybe has already transitioned—from a scrappy upstart to an established launch provider.”. 1. Monday, Feb. 25, 2019: 2-3:30 pm PST (4-5:30 pm CST, 5-6:30 pm EST): We welcome Micah Walter-Range for Caelus Partners news and updates. 2. Tuesday, Feb. 26, 2019: 7-8:30 pm PST (9-10:30 pm CST, 10-11:30 pm EST): We welcome back Bernie Taylor for a discussion about “adding “M” to the Drake Equation. 3. Wednesday, Feb. 27, 2019: Hotel Mars. See Upcoming Show Menu and the website newsletter for details. Hotel Mars is pre-recorded by John Batchelor. It is archived on The Space Show site after John posts it on his website. 4. Friday, March 1, 2019: 9:30-11 am PST (11:30 am – 1 pm CST, 12:30-2 pm EST): We welcome back Dwight Steven-Boniecki on his documentary film project, Searching for Skylab. 5. Sunday, March 3, 2019: 12-1:30 pm PST (3-4:30 pm EST, 2-3:30 pm CST): We welcome an Open Lines discussion. All callers welcome, especially first time callers. All space, science, STEM and STEAM topics welcome. ** Fri, 02/22/2019 – Dr. Zina Jarrahi-Cinker gave “an introduction to the material graphene with a discussion of its uses and capabilities with a focus on space applications”. ** Wed, 02/20/2019 – Matt Bille back discussed “Project WHALES and the advancements with OceanLens software to help protect cetaceans (whales and dolphins)”. , creating a space philosophy, human space flight task forces, commercial space entrepreneurism and more. The Lunar Polar Hydrogen Mapper (LunaH-Map) is a 6U CubeSat mission recently selected by NASA’s Science Mission Directorate to fly as a secondary payload on first Exploration Mission (EM-1) of the Space Launch System (SLS), scheduled to launch in July 2018. LunaH-Map is led by a small team of researchers and students at Arizona State University, in collaboration with NASA centers, JPL, universities, and commercial space businesses. The LunaH-Map mission will reveal hydrogen abundances at spatial scales below 10 km in order to understand the relationship between hydrogen and permanently shadowed regions, particularly craters, at the Moon’s South Pole. Zachary Manchester, who started the project while a post-doc at Cornell, is now an assistant professor at the Stanford School of Engineering. Here is the REx Lab: KickSat Project page at Stanford. SNoOPI: A flying ace for soil moisture and snow measurements – NASA Goddard Space Center/EurekAlert! Good Things Really Do Come In Small Packages. | Eugene Daily News – An intro to CubeSats. On Friday, Japan’s Hayabusa 2 spacecraft maneuvered down to the surface of the small asteroid Ryugu and landed just long enough to extract a sample of surface material. The spacecraft dropped a pair of Japanese robots to hop across Ryugu’s surface in September, then released a European mobile scout to land on the asteroid in October. The miniature landers became the first mobile vehicles to explore the surface of an asteroid. All three robots returned imagery and science data. The shadow of Hayabusa 2 on the Ryuga asteroid. Mission managers hoped to grab the first sample with Hayabusa 2 in late October, but officials postponed the descent to complete additional analysis and surveys after the spacecraft found the asteroid is more rocky and rugged than expected. Managers decided to deploy a target marker at their preferred landing site for Hayabusa 2’s first sampling attempt, helping the spacecraft navigate a narrow corridor to safely reach a location free of boulders, which could have endangered the mission. “Ryugu turned out to be more difficult than we expected, so we decided to deploy all kinds of technologies that are available,” Tsuda said. Hayabusa 2 could try to gather two more samples from other locations on Ryugu before departing the asteroid in November or December. The spacecraft must begin its journey back to Earth by the end of the year to return home in December 2020, when Hayabusa 2 will release a sample carrier to re-enter the atmosphere and parachute to a landing in Australia. SpaceIL‘s Beresheet lunar lander, launched as a secondary payload on a Falcon 9 last Thursday evening, has completed its first engine firing, which will raise the altitude of the perigee (low point) of its highly elliptical orbit around the earth so that it doesn’t reenter the atmosphere. First Israeli lunar spacecraft completes first maneuver – Israel National News. The maneuver was made at a distance of 69,400 km from Earth for 30 seconds and will increase the spacecrafts closest point of approach to Earth to a distance of 600 km. Beresheet continues its course according to plan and the next maneuver is scheduled for Monday night. The glare of the sun has affected the craft’s star-tracker but otherwise the vehicle seems in good shape. Japan’s ispace is another organization that began as an entrant in the Google Lunar XPRIZE and then continued after the GLXP ended. ispace, however, is a commercial company rather than a non-profit like SpaceIL. The company has raised nearly $100M in investments and has contracts with several companies and government institutions. The latest contract is with the NGK Spark Plug company and involves testing a solid-state a battery under the harsh conditions on the Moon, particularly the extremely cold temperatures during the 2 week long nights. Mission 1 will entail an orbit around the Moon, while Mission 2 will perform a soft lunar landing and deployment of rovers to collect data from the lunar surface. ispace has contracted with SpaceX to carry its Lunar Lander (Moon landing spacecraft) and Lunar Rovers (Moon surface exploration robots) for the HAKUTO-R Program as secondary payloads on it’s Falcon-9 rocket. The launches for the first and second missions for HAKUTO-R will occur in mid-2020 and mid-2021, respectively. The mission team called it a “stretch goal” – just before closest approach, precisely point the cameras on NASA’s New Horizons spacecraft to snap the sharpest possible pics of the Kuiper Belt object nicknamed Ultima Thule, its New Year’s flyby target and the farthest object ever explored. These new images of Ultima Thule – obtained by the telephoto Long-Range Reconnaissance Imager (LORRI) just 6½ minutes before New Horizons’ closest approach to the object (officially named 2014 MU69) at 12:33 a.m. EST on Jan. 1 – offer a resolution of about 110 feet (33 meters) per pixel. Their combination of high spatial resolution and a favorable viewing angle gives the team an unprecedented opportunity to investigate the surface, as well as the origin and evolution, of Ultima Thule – thought to be the most primitive object ever encountered by a spacecraft. New Horizons scientists created this movie from 14 different images taken by the New Horizons Long Range Reconnaissance Imager (LORRI) shortly before the spacecraft flew past the Kuiper Belt object nicknamed Ultima Thule (officially named 2014 MU69) on Jan. 1, 2019. The central frame of this sequence was taken on Jan. 1 at 5:26:54 UT (12:26 a.m. EST), when New Horizons was 4,117 miles (6,640 kilometers) from Ultima Thule, some 4.1 billion miles (6.6 billion kilometers) from Earth. Ultima Thule nearly completely fills the LORRI image and is perfectly captured in the frames, an astounding technical feat given the uncertain location of Ultima Thule and the New Horizons spacecraft flying past it at over 32,000 miles per hour. Summiting the Solar System is a story of exploration at its most ambitious and extreme. On January 1, 2019, NASA’s New Horizons spacecraft flies by a small Kuiper Belt Object known scientifically as 2014 MU69, but nicknamed “Ultima Thule.” Ultima is four billion miles from Earth, and will be the most ancient and most distant world ever explored close up. It is expected to offer discoveries about the origin and evolution of our solar system. Chosen by the team and the public, the nickname honors the mythical land beyond the edges of the known world. But “Summiting” is much more than the story of a sophisticated, plutonium-fueled robotic spacecraft exploring far from the Sun. The New Horizons mission is powered as much by the passions of a small team of humans—men and women, scientists and engineers—for whom pushing the frontiers of the known, climbing the very peaks of the possible, has been the dream of many decades. “Summiting” goes behind the scenes of the most ambitious occultation campaigns ever mounted, as scientists deployed telescopes to Senegal and Colombia in 2018, and Argentina, South Africa and New Zealand in 2017, to glimpse Ultima as it passed in front of a star, and gathered data on the object’s size and orbit that has been essential to planning the flyby. Mission scientists recall the astonishing scientific success of flying through the Pluto system in 2015, and use comparative planetology to show how Earth and Pluto are both amazingly different and—with glaciers, tall mountains, volcanoes and blue skies—awesomely similar. Appealing to space junkies and adrenaline junkies alike, “Summiting” brings viewers along for the ride of a lifetime as New Horizons pushes past Pluto and braves an even more hazardous unknown. More at ‘Artists Inspire Astronauts’ Contest | Colorado Space News. ** New documentary profiles Chesley Bonestell, who created many iconic depictions of space and space travel that were particularly influential in the years leading up to the start of the Space Age. The new documentary film, Chesley Bonestell: A Brush with the Future, tells the story of his life and the impact that his work had on space artists, space pioneers, and the general public’s perception of space travel. Poster for the film, “Chesley Bonestell: A Brush with the Future”. More about Bonestell (1888-1986) and the film at Visionary ‘space art’ pioneer Chesley Bonestell celebrated in documentary | Datebook/SF Chronicle. ** A ballet inspired by the New Horizons mission to Pluto and beyond is being performed by the Boulder Ballet in Colorado. On February 22, 23, & 24, 2019 Boulder Ballet is celebrating the landmark achievements of the New Horizons space mission with four special performances of New Horizons. These performances, featuring Boulder Ballet company dancers, honor NASA’s New Horizons Pluto-Kuiper Belt Mission. We’ve taken the beauty and mystery of space, the courage of exploration, the fragility and strength of humanity and mixed it with a dynamic score by a local award-winning composer and exciting choreography by a Boulder dancer/choreographer, creating a ballet that will take the audience on a journey of time and space. The music has been composed by award-winning composer Paul Fowler, music professor at Naropa University and the choreography is by Claire Davison, a Boulder Ballet alum now dancing with American Ballet Theatre. These performances will also feature a piece choreographed by Associate Artistic Director Lance Hardin and Assistant School Director Amy Earnest to electronic music composed by Michael Schulze, a teaching associate professor at the University of Denver’s Lamont School of Music. A third piece will be the audience favorite “Tropes” from the FACES of Boulder Ballet show presented in September, choreographed by company member Ryland Early. The opening night post-performance celebration will be a unique opportunity to meet some of the local scientists who brought the New Horizons mission to life along with the artists who, through this performance, recognize this unparalleled accomplishment. We are excited and truly privileged to be bringing this unique combination of science and art—a perfect example of STEAM—to the Boulder community. Assuming this uncrewed mission goes well, there will be one more uncrewed demonstration mission before a crew flies. That demo will test the in-flight abort system with the Crew Dragon vehicle separating from the rocket at the point, a minute or so after liftoff, when the vehicle experiences maximum dynamic pressure, i.e. maximum stress from the combination of the opposing forces of the engines and atmospheric drag. The flight will use the same booster that flew on yesterday’s launch of the Indonesian comm-sat and SpaceIL lunar lander. ** SpaceX Falcon 9 launches comm-sat plus two secondaries including an Israeli spacecraft going to the Moon. 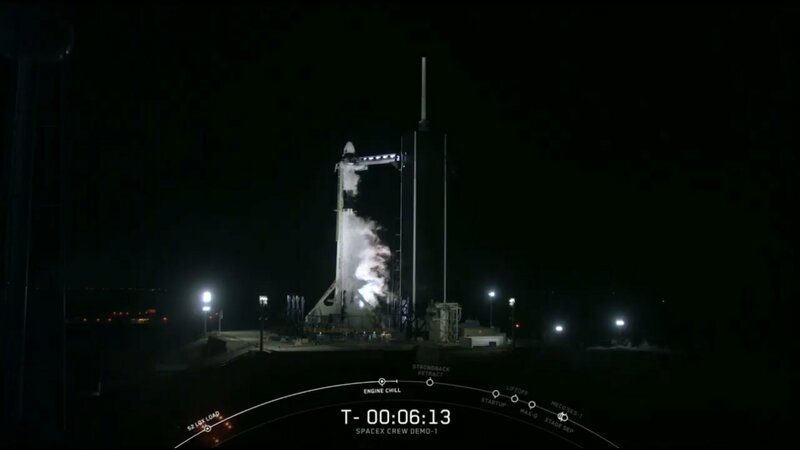 On Thursday evening at Cape Canaveral, SpaceX’s second F9 launch of the year put the Indonesian Nusantara Satu communications satellite on track to a geostationary orbit. The two secondary payloads included the S5 USAF technology demo satellite and SpaceIL‘s lunar lander spacecraft, which is named Beresheet (Hebrew for “genesis” or “in the beginning”). The F9 booster, which was on its third mission, landed safely on a floating platform in rough seas after coming back from the highest altitude so far for a recovered booster. The SpaceIL non-profit, volunteer project began as an entry in the Google Lunar X PRIZE but continued after the GLXP ended. It will be the first privately funded mission to the Moon. If successful, Israel will be only the fourth country (after US, Soviet Union, and China) to put a lander onto the Moon. **** The Beresheet journey to the Moon will take seven weeks. As shown in this video, the Beresheet craft will use its onboard propulsion system to bring the apogee of its earth orbit closer and closer to the Moon’s orbit. A graphic timeline of the major events in the Beresheet mission. I’ll be following the mission here and you can find updates from the project at Israel To The Moon (@TeamSpaceIL) | Twitter. At an event at Cape Canaveral on Feb. 22, Florida officials and Firefly Aerospace CEO Tom Markusic announce plans for the company to open a rocket factory at the Cape and to launch the vehicles there. Texas-based spaceflight company Firefly Aerospace is moving into a new launch site in Cape Canaveral, Florida — the location of US’s premier spaceport. Thanks to a deal with Space Florida, a government agency that spurs development in the state, Firefly will be taking over a pad called SLC-20 at Cape Canaveral Air Force Station as well as building a nearby manufacturing facility. That means the launch provider now has secured two launchpads for the rockets it has been developing: one in Florida and another at Vandenberg Air Force Base in California. Black Arrow Space Technologies is developing its own spaceship – a seaborne spaceport which will be used to launch satellites of up to, initially, 500 kg in to Low Earth Orbit. The “spaceship” will be based in a South Wales port, along with its support vessels, and will enable rockets to be launched North or South without overflying populated areas. We are creating a flexible British launch capability to support the thriving British satellite industry which will allow launches to take place from the best place to achieve the required orbit. This CGI animation, created for us by Animated Technologies, gives a great impression of what we are aiming to achieve. The company’s rocket is powered with liquid natural gas and can put up to 500 kg into Low Earth Orbit. The simply-named company, Launcher, provided CNBC with a first look at the company’s E-2 engine, which was made in Germany by AMCM using its specialized M4K printer. Launcher has only five full-time employees but credits its ability to develop E-2 quickly to the advances made in 3D printing. “With 3D printing, we’re now in a world where a start-up like us can now access [advanced] liquid oxygen propulsion technologies,” Launcher founder Max Haot told CNBC. **** Elon Musk commented on Tweeter that the first full-scale Raptor engine underwent increasingly strenuous test firings until it reached the point where it failed as expected. A second engine will begin testing soon. [ Update: Will add new media here as it becomes available. B-roll & Images: Getty Press FTP: https://www.image.net/virgingalactic Please visit periodically throughout the day and week for updates and additional test flight content. News of the day and Richard Branson reaction quotes, per full copy below. Available for immediate use. Please cite original source: Virgin Galactic. Beth Moses unbuckles and floats inside SS2. For downloadable assets from today’s flight test please visit our Press FTP https://www.image.net/virgingalactic. Aboard the International Space Station, Expedition 58 Flight Engineer Anne McClain of NASA discussed life and research on the outpost and her thoughts on the Apollo program fifty years after humankind’s first landing on the moon during a pair of in-flight interviews Feb. 15 with CNN and National Public Radio’s “Weekend Edition”. McClain is in the third month of a planned six-and-a-half month mission on the complex. 12:08 pm EST: The SpaceShipTwo VSS Unity is back safely on the ground after a second successful powered flight to the edge of space. Official apogee not yet announced. Unity definitely achieved 50+ miles, which crosses the USAF/NASA definition for the boundary altitude to space. 11:56 am EST: The motor has finished firing and the vehicle reached Mach 3. 11:55 am EST: Unity has been released and its motor is firing. Take off! WhiteKnightTwo and SpaceShipTwo have taken to the skies as our team watch on below. WhiteKnightTwo VMS Eve and SpaceShipTwo VSS Unity take off from Mojave space port. Virgin Galactic plans to fly SpaceShipTwo VSS Unity to the edge of space today. This will be the fifth rocket powered flight and the second to to go to 80+ kilometers in altitude. Currently, the schedule has the WhiteKnightTwo with the SS2 hung beneath it taking off from Mojave Air & Space Port at 8:00 am PST local time (11:00 noon EST). Find live updates at Virgin Galactic (@virgingalactic) | Twitter. Unity will be carrying several NASA sponsored research payloads that will take advantage of the several minutes of microgravity conditions. FY2019 SLS/Orion budget: $4,093 up from $4,045 in 2018. 9-minute TED talk on space solar power is presented by Paul Jaffe, PhD, of the Naval Research Laboratory Space Engineering Department. Paul does research in space solar and power beaming. The talk was given in October 2018 and published January 28.